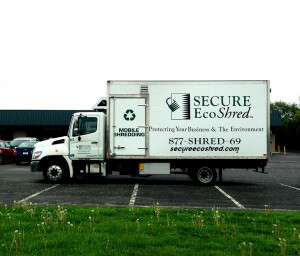 When the Secure Eco Shred truck drives away, it’s not carrying your documents, it’s carrying tiny shreds of paper. 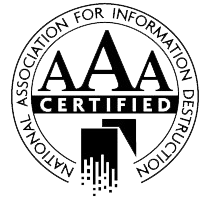 You know the document shredding has been done right because the destruction it took place right at your doorstep. There’s absolutely no fear that your billing records, employment information or other sensitive documents might fall into the wrong hands and cause you embarrassment or worse. The process starts with the consoles we provide for your offices at no charge. They are dead-bolt locked ensuring maximum security for your sensitive documents. Our uniformed security representative unlocks the consoles, removes the nylon bags filled of paper and carries them to the Secure Eco Shred truck waiting at your door. Then the contents of the bags are shredded into tiny, unrecognizable bits. As the truck drives away, you’re left with complete peace of mind. 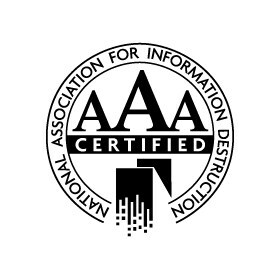 We give you certificate of destruction that guarantees that your material has been completely destroyed and will be recycled at a certified plant.